갈항사터(경상북도 김천시 남면 오봉동 소재)에 동·서로 세워져 있던 두 탑으로, 일제시대에 일본으로 반출될 위기에 처하자 1916년 경복궁으로 옮겨지고, 현재 국립중앙박물관에 옮겨 놓았다. 2층 기단(基壇) 위에 3층의 탑신(塔身)을 올린 일반적인 모습이며, 서로 규모와 구조가 같다. 기단의 네 모서리와 각 면의 가운데에 기둥모양을 본떠 새겼는데, 특히 가운데기둥은 두 개씩을 두었다. 몸돌과 지붕돌을 각각 하나의 돌로 구성하고 있는 탑신부는 몸돌의 모서리마다 기둥을 조각하였으며, 지붕돌의 밑면에 5단씩의 받침을 마련하였다. 동탑의 기단에 통일신라 경덕왕 17년(758)에 언적법사 3남매가 건립하였다는 내용이 새겨져 있어 만들어진 연대를 정확히 알 수 있으며, 이두문을 사용하고 있어 더욱 특기할 만하다. 두 탑 모두 꼭대기의 머리장식만 없어졌을 뿐 전체적으로 온전하게 잘 남아있다. 두 탑의 규모가 그리 크지는 않지만 각 부분의 비례가 조화를 이루고, 위아래층 기단에 가운데기둥을 두 개씩 새겨 놓고 있어 당시의 석탑양식이 잘 담겨져 있는 탑이다. 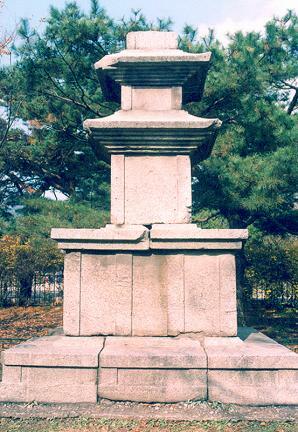 With one originally erected on the east and the other on the west at the precincts of Galhangsa Temple Site (currently located in Obong-dong, Nam-myeon, Gimcheon, Gyeongsangbuk-do), these twin stone pagodas were moved to Gyeongbokgung Palace in 1916 in an effort to protect them from Japanese colonialists who attempted to smuggle them into Japan. 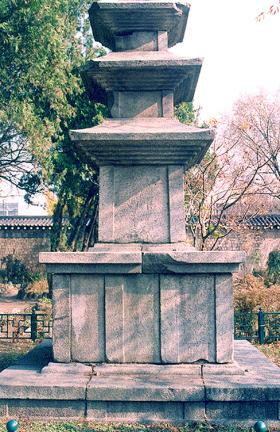 The pagodas are currently located in the National Museum of Korea in Seoul. 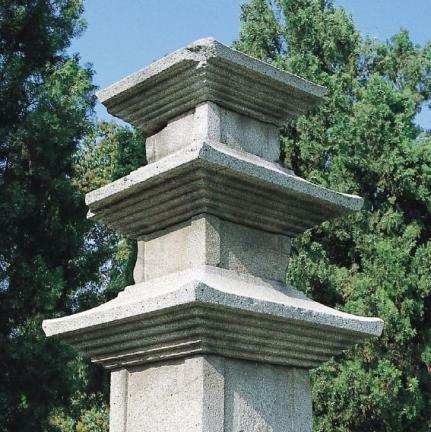 Each pagoda exhibits the typical style of Silla stone pagodas consisting of a double-tier base and a three-story body. 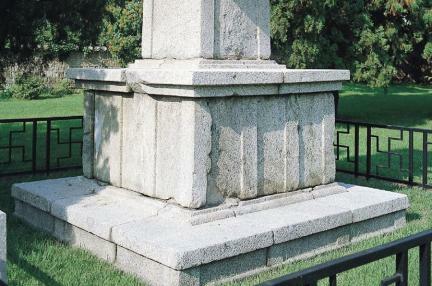 Each of the base’s four sides has two corner and two middle columns carved in low relief; the body and the roof of each story are made by carving a single stone block. 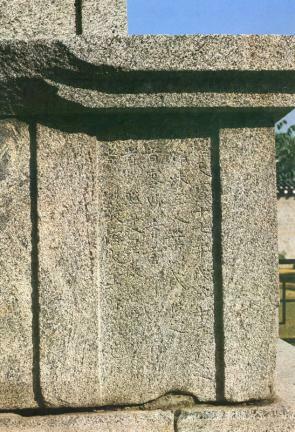 Each of the three bodies has two corner columns also carved in low relief, and each roofstone has five-step cornices under the eaves. 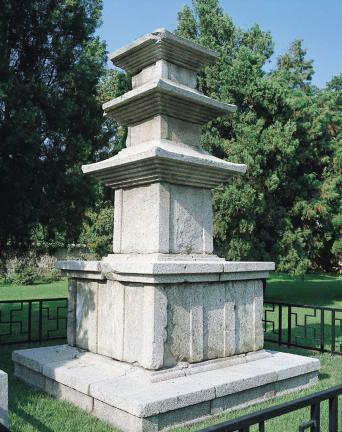 The discovered record engraved on the base of the eastern pagoda revealed that the pagodas were set up in 758 under the commission of Dharma Master Eonjeok and his two sisters. 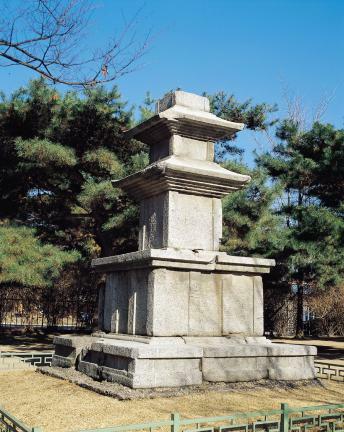 Remarkably, the inscription was written using an archaic Korean writing system called Idu wherein Chinese characters were borrowed to mark the sounds of the Korean verbal language. 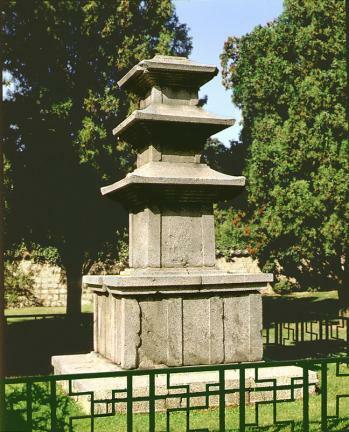 Both pagodas are in comparatively good condition except for the finials, which are now missing. 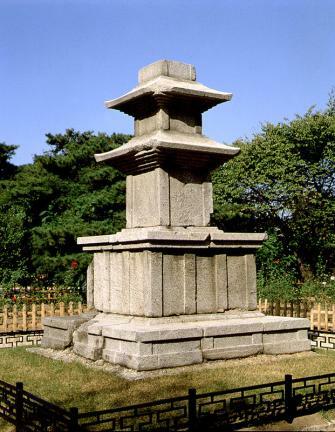 Their size may not be considerable, but the outstanding structural balance and proportion and the well-preserved details showing the typical style of Silla pagodas make them a valuable part of the Korean Buddhist heritage.